Hello! I'd like to begin by introducing myself! My name is Marci. Our home is an old rock farmhouse built in the 1930s. There are two greenhouses, a vegetable garden, herbs, several flower beds, lots of hobbies and too many pets. Thankfully, our neighbors love us! They say being our neighbor is like living next door to Old MacDonald and Martha Stewart! My blog is Stone Cottage Adventures . Will you please visit us often? I'm so excited to be here at Rhinestone Beagle! How fun to write a post for Howl-oween! 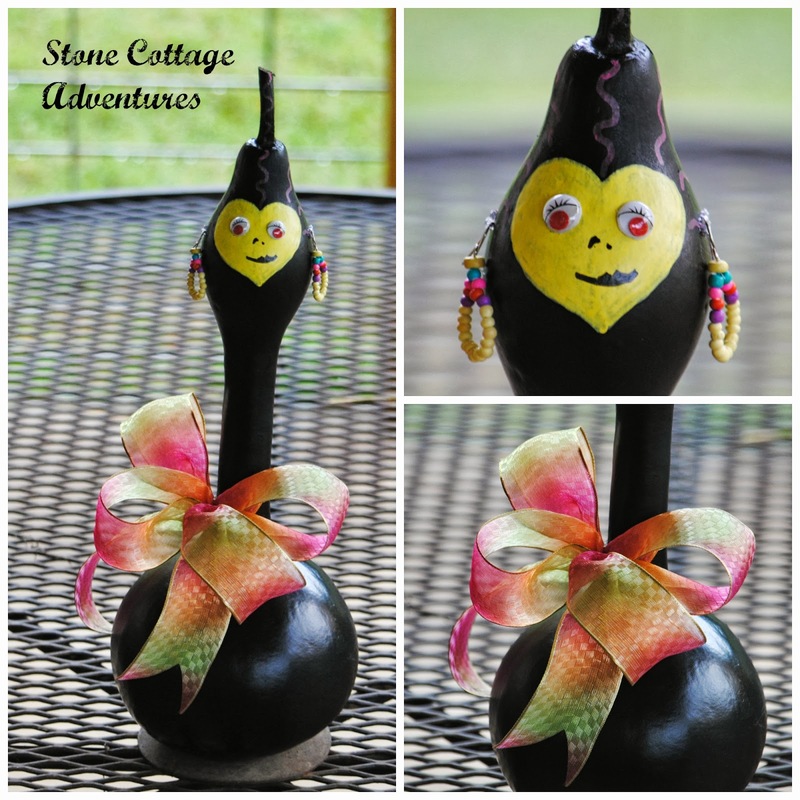 If you've been to my blog, you may have noticed that I like to decorate gourds! If you haven't seen them, they are on my Crafts Page! I thought it might be fun to decorate some just for Halloween! Check out this family photo! Let me show you how it all began! The gourds are grown, dried, chosen and cleaned. 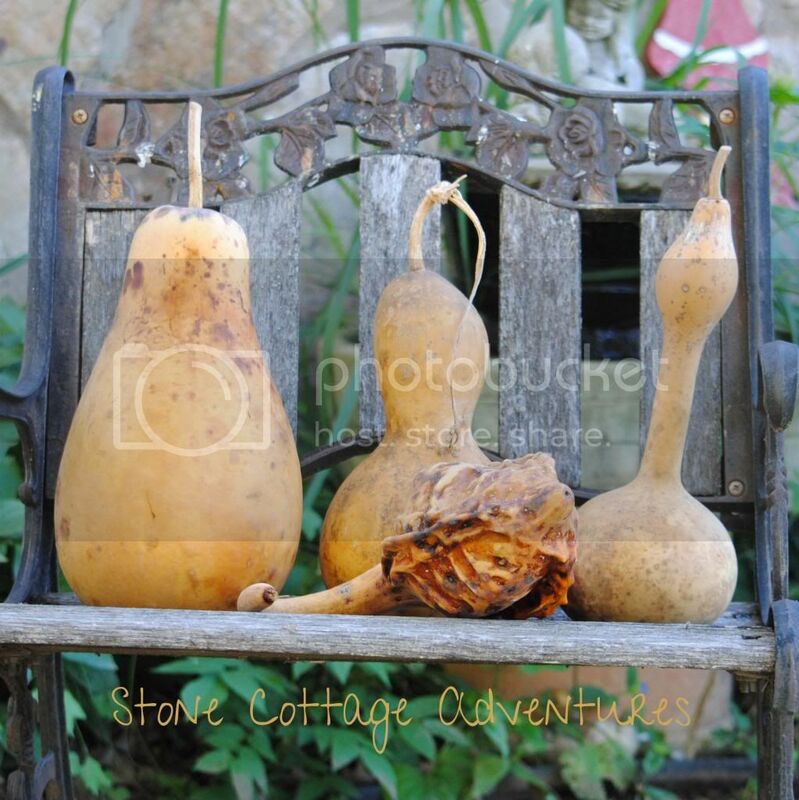 From left to right, Big Apple Gourd, Birdhouse Gourd, Swan Gourd; and in front, Caveman Gourd. Keep in mind that shapes can become distorted depending on growing conditions. Now for the creativity! My favorite part! Wiggly eyes play a big role! One big, happy, Howl-oween Family! I hope your holidays are filled with family laughter! Fun! 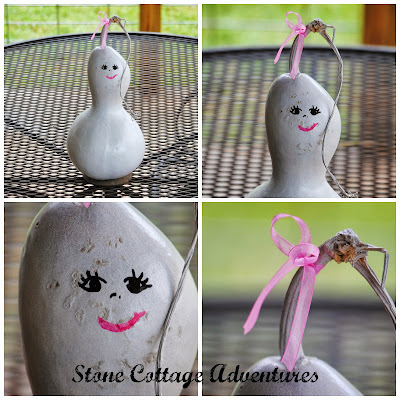 we grew some gourds this year and they are ready for me to paint and play with... thanks for the ideas! I love it! 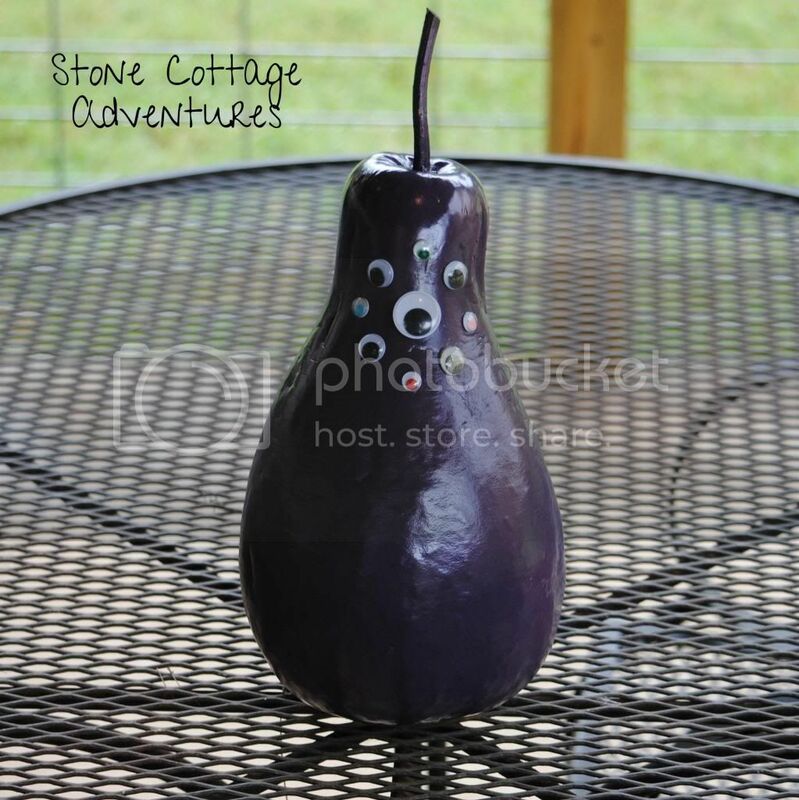 My daughter recently started growing and drying gourds for a 4H project for birdhouses, but this is way cuter. Can't wait to show her. How fun those are! Googly eyes always make me smile! I particularly love the purple one! Way to go Marci! Marci is so creative!! I love her gourds. 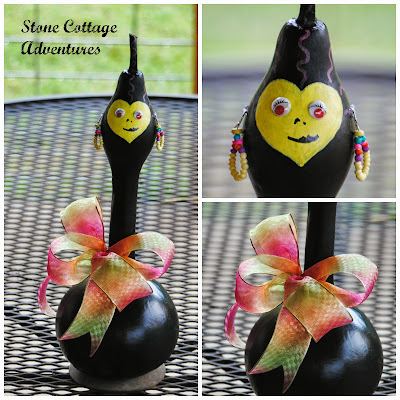 The earrings on the mama gourd are the best! Great Guest Post Marci, thanks for introducing me to this lovely blog and thank you for sharing the post on Fluster's Creative Muster Party. These are cute! Before I started making jewelry I did a lot of woodcrafts, and I use to grow my own gourds and make mostly santa's from gourds. Wish I could grow some more, but I dont have a place to grow them anymore. 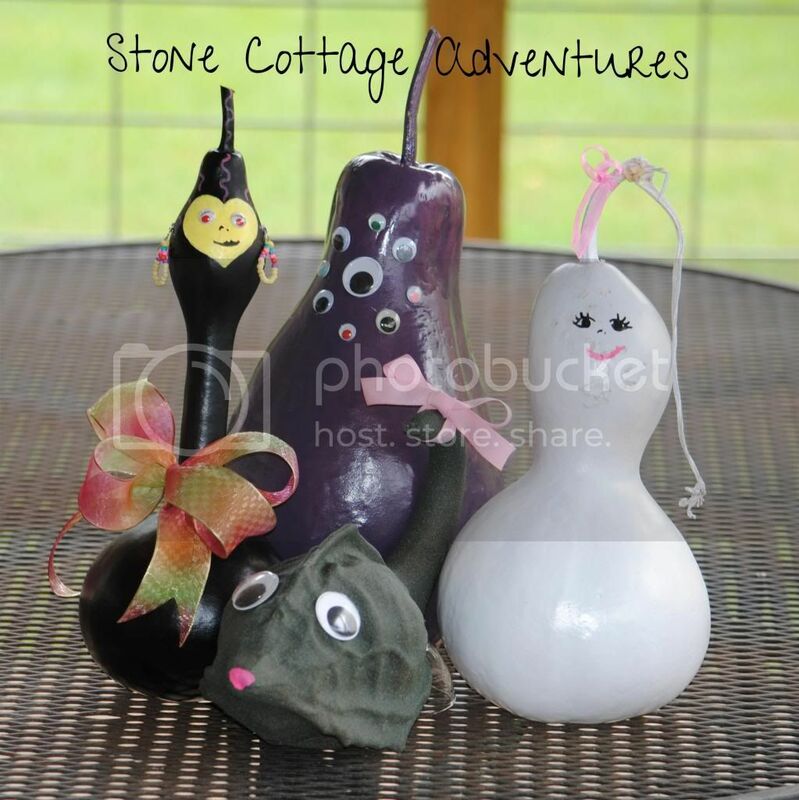 Thanks for sharing your ghoulish gourd family. I love mother's earring! Marci, these are AWESOME! So cute I can't even pick a favorite I think they are all so darn adorable. Thanks so much for sharing on We Made That Wednesday! Such beautiful painting of gourds, lovely decorations. Thank you for sharing with the Clever Chicks Blog Hop! I hope you’ll join us again next week! These are darling! 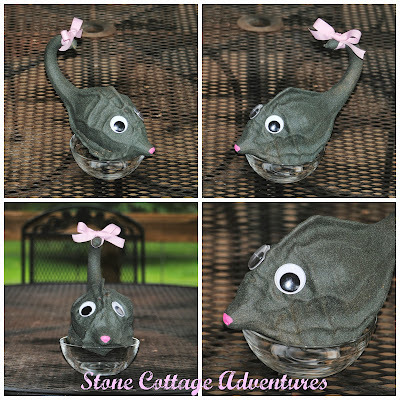 What a great project for my granddaughter! Thank you for sharing on the Four Seasons Blog Hop!